A two-day Musica Fest – in Ahmedabad on 21 & 22 February 2015 . The festival titled 'Sense of Sufi . The two day festival celebrated both art and heritage together. MusicaFest` is an humble attempt to bring together `the people` and `the culture` by a universal thread of music, by exposing the urban audiences, to the fast perishing rich musical heritage of India. ``MusicaFest`` is set to be one such attempt on promoting the less explored and at times ignored, folk, tribal and traditional Musical heritage of India and also World music from around the globe. The Concept of Musica Fest this season is `Sense of Sufi`. Sufism is a school for the actualization of divine ethics. It involves an enlightened inner being, not intellectual proof, revelation and witnessing, not logic. By divine ethics we are referring to ethics that transcend mere social convention, a way of being that is the actualization of the attributes of the supreme. 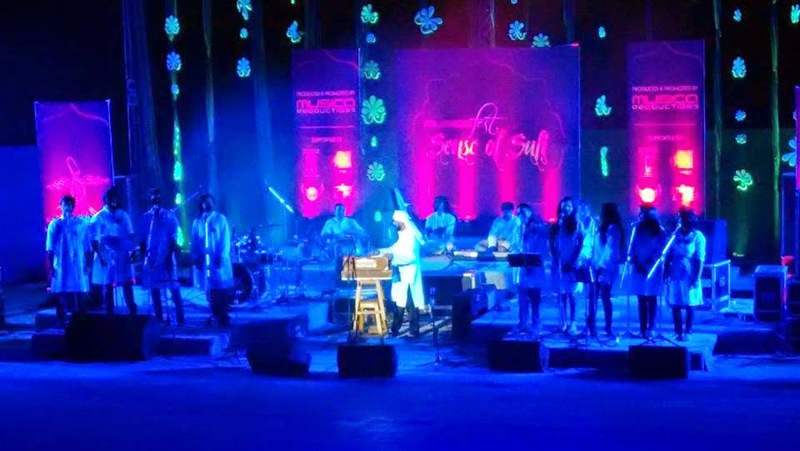 ‘MusicaFest – Sense of Sufi' is a unique music festival, focused on showcasing unique and lesser known rich sufi musical traditions of India and around the globe. Sufism is a school for the actualisation of divine ethics. It involves an enlightened inner being, not intellectual proof, revelation and witnessing, not logic. By divine ethics we are referring to ethics that transcend mere social convention, a way of being that is the actualisation of the attributes of God. “MusicaFest” is a humble attempt to bring together “the people” and “the culture” by a universal thread of music, by exposing the urban audiences, to the lesser-known and fast perishing rich musical heritage of India. “MusicaFest” is set to be a permanent feature of Ahmedabad’s cultural calendar, focused on promoting the less explored and at times ignored, folk, tribal and traditional musical heritage of India and around the globe. 3 concept driven events will be show cased every year, which will be curated professionally to bring the best of musical cultures and artists to our audiences. This is the second season finale event of MusicaFest. 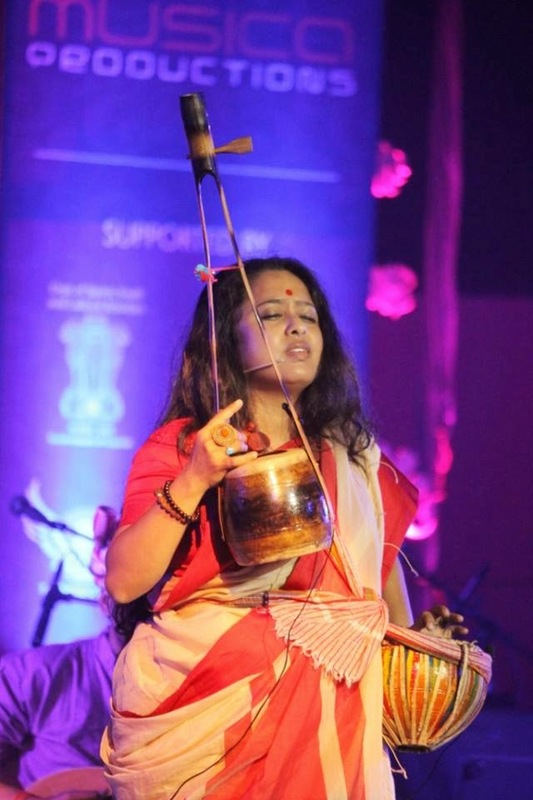 Musica Fest – Sense of Sufi featuring by Dipannita Acharya at Ahmedabad on February 2015. 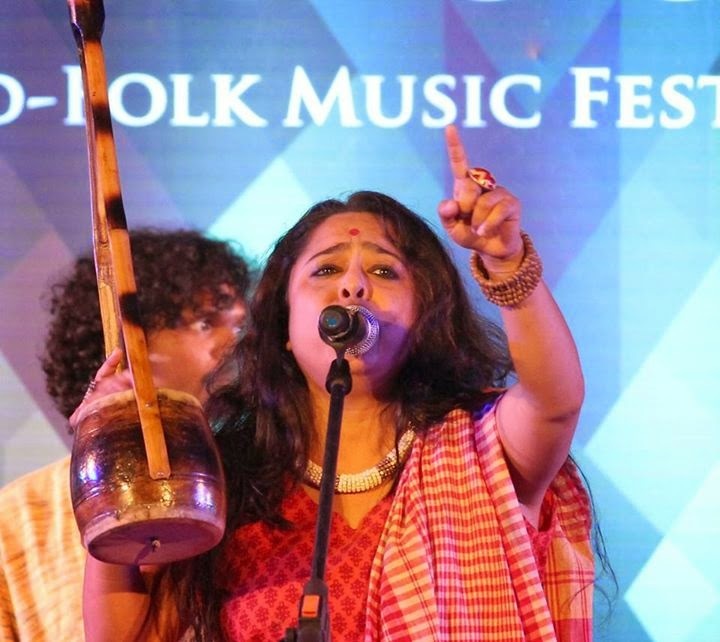 Dipannita Acharya is a rustic voice from Bangladesh & Bengal. Bequeathed with the legacy of folk songs by the surroundings and ambience. Dipannita Group of folk musicians will present the Marfati Sufi Sings from Bangladesh. 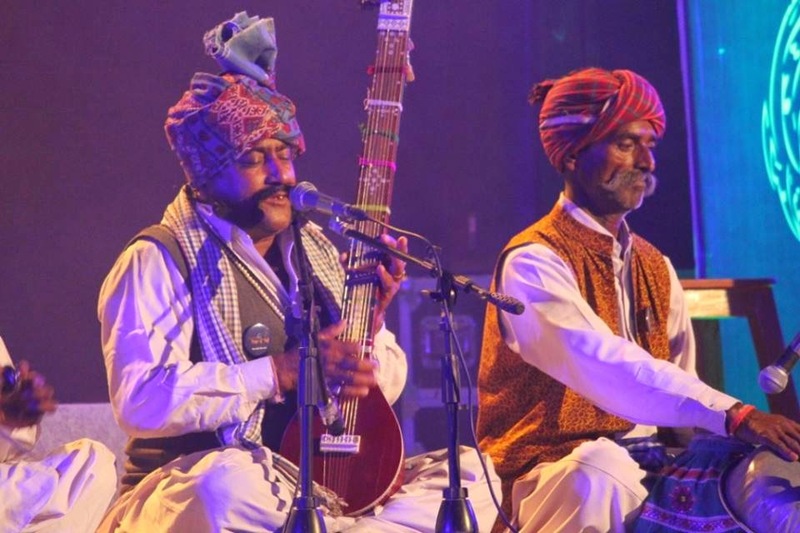 Musica Fest – Sense of Sufi 2015 in Ahmedabad is two days music festival. Sufi Singer Dipannita Acharya live concert in Ahmedabad on 21 & 22 February 2015. 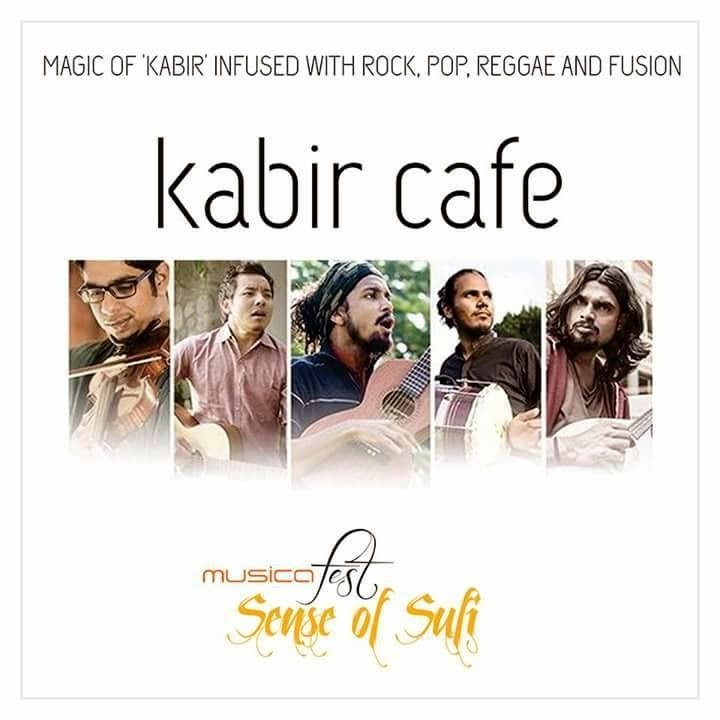 Musica presented an evening of Kabir’s soulful poetry performed by Neeraj Arya’s Kabir Café. The band had reinterpreted the philosophical verses of the15th century mystic poet with elements of pop, reggae, rock and fusion. They carried Kabir’s pithy words across to audience in a musical and engaging way. The band comprised of Neeraj Arya on lead vocals, rhythm and guitar, who has been relentlessly researching and performing Kabir’s poetry across the country since the last 6 years. Influenced by several folk Kabir artists like Prahladji Tippania and Mir Mukhtiar Ali, Neeraj has applied his own musical sensibilities and pioneered a genre called Kabir Rock. On Violin was the talented musician Mukund Ramaswamy, a disciple of Sri. S. V Ramachandran and Smt. Muthulakshmi Vedanarayanan. Raman Iyer was on the mandolin. As a musician who likes to experiment and not stick to boundaries, Raman began his musical journey by learning the western scales and notation, and then moved on to Hindustani and Carnatic styles, this range was evident in his melodious playing. 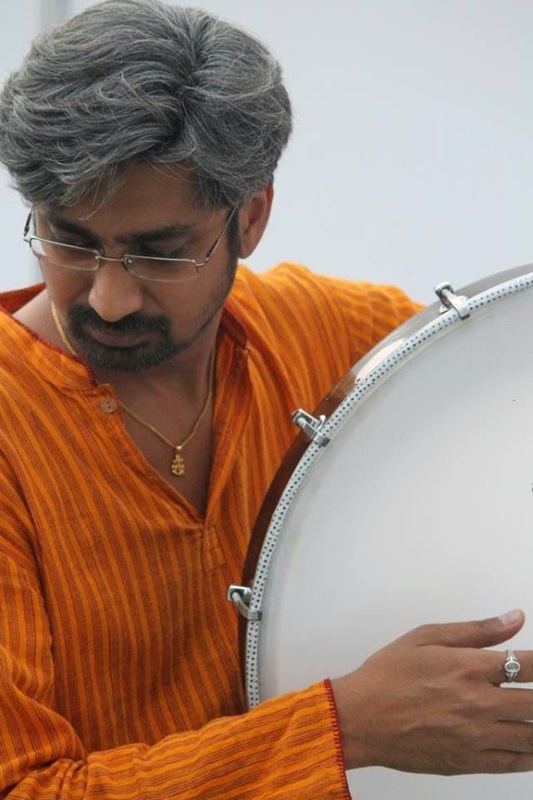 Viren Solanki on percussion showed a keen understanding of Classical, Folk and Sufi music. A student of Fazal and Taufiq Qureshi, Viren has been learning the tabla since he was 8 years old. Raman simplified Kabir’s distinct words by giving effective explanations of the verses that the band performed. 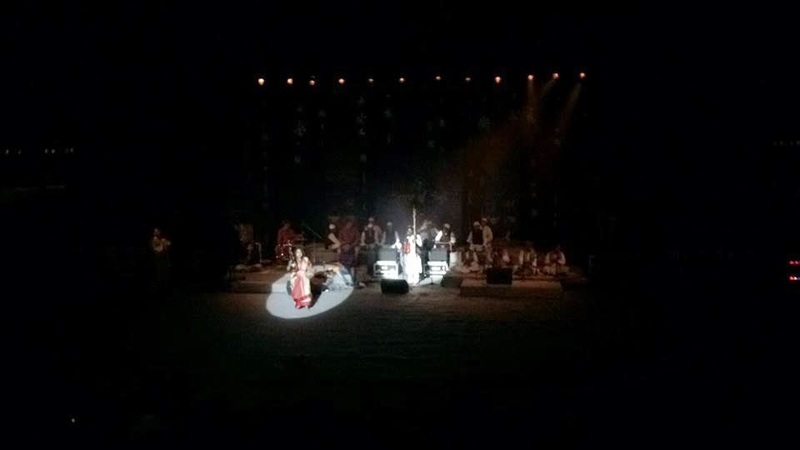 The band’s music was so irresistibly dreamy that the younger crowd in the audience got on their feet and swayed to the rhythm..
Ahmedabad: Two-day long Musica Fest is a unique Sufi Music Festival which was held on 22nd of February, 2015. Amdavadis were left mesmerized by the soulful renditions, making it an evening to remember. This is a tribute to the revolutionary poet who dared the religious bigots of all denominations of his times, creating an immortal body of poems. Music based events are gaining more popularity than ever before, not just that the events are now more varied and specific to genre for more selective audiences, around the country. Ahmedabad has recently been a very active city when it comes to events, and therefore MusicaFest comes back in the city with Sense of Sufi Season 2. The festival is a humble attempt to bring together “the people” and “the culture” by the sublime emotion of Sufi music, by exposing the urban audiences to the lesser known and perishing rich musical heritage of India. “MusicaFest” is set to be a permanent feature of Ahmedabad’s cultural calendar, focused on promoting the less explored and at times ignored, folk, tribal and traditional musical heritage of India and around the globe. The voices that will adorn the Musica Fest Sense of Sufi Season 2 are: Dipannita Acharya from Bengal, Mooralala Marwada from Kutch-Gujarat, Vaako Naam Kabeer and Neeraj Arya's Kabir Cafe. The event is planned on 21st February 2015 - Saturday and 22nd February, 2015 – Sunday. 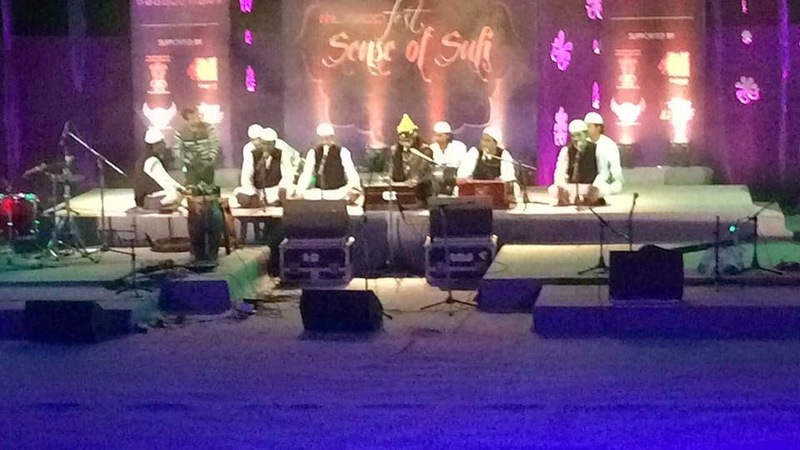 Kudos to Nishith Mehta and the whole team for presenting a two days wonderful Sufi festival “ Sense of Sufi” . Everything, from music to lighting and set designing was stunning and the performance! OMG, what a performance!!! One needed to attend it to believe it. Amazing that how the next gen youngsters get connected to Kabeer thru music. What a fusion and what a modern way of putting Kabeer on entirely different level!! But….all the time I sadly kept wondering how come no one I repeat NO ONE, from the field of music or theater was seen on this venue!! ( Barring a few exceptions like Nisarg/Hina and Prahar ) Are they just passive or simply not interested in leaving their cocoons and be sporty to appreciate and learn how wonderfully the others perform? However the loss was entirely theirs. Keep it up Nishith, we are with you and your team. Keep performing like a missionary and let the God be with you all the time in your musical endeavors.